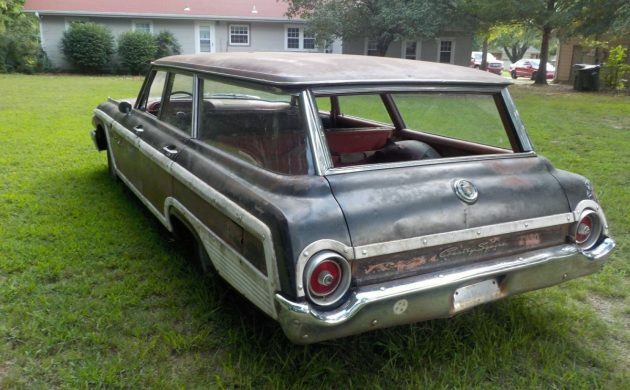 This 1962 Country Squire Wagon started life in an attractive combination of black paint with a red interior. 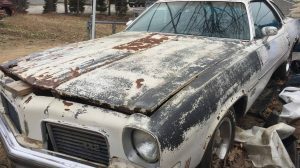 Time has taken its toll on this car and now it’s just waiting for someone to take on a restoration. Listed for sale here on eBay, it is located in Rogers, Arkansas. It has a clear title and the seller has set the opening bid at $1,500. 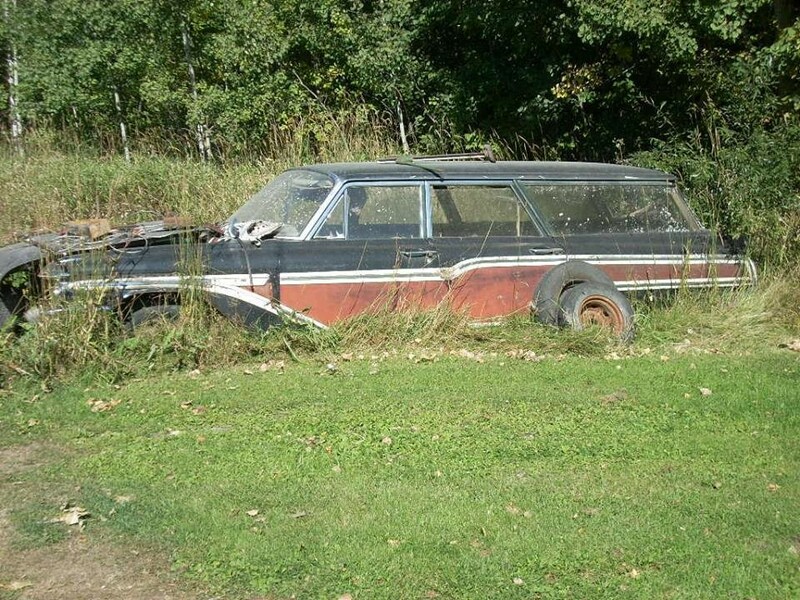 There is no getting around the fact that restoring this wagon is going to be a fairly big job. It has been sitting for 19 years and everywhere that you look there is surface corrosion. Having said that the panels look to be quite solid. 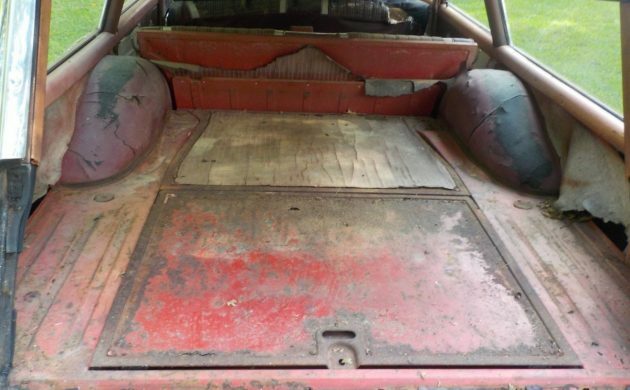 There is something a bit weird with the right rear door, and I’m not sure if that might be a bit of Bondo. The spare wheel well appears to be solid with maybe a couple of pin holes in the metal, and the seller also states that the car will need the foot-wells repaired. 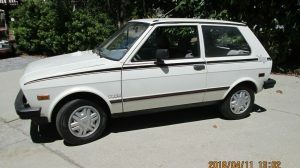 Most of the exterior trim is present although there is one badge missing and a piece of the wood trim is slightly damaged, but that may be able to be repaired. This is as close to an interior shot as we get on this Ford. The seller is under no illusions here and states that the interior will require a full restoration. Certainly there is a lot of torn and shredded trim in evidence, but hopefully, the foundations are solid as this will assist the new owner no end. 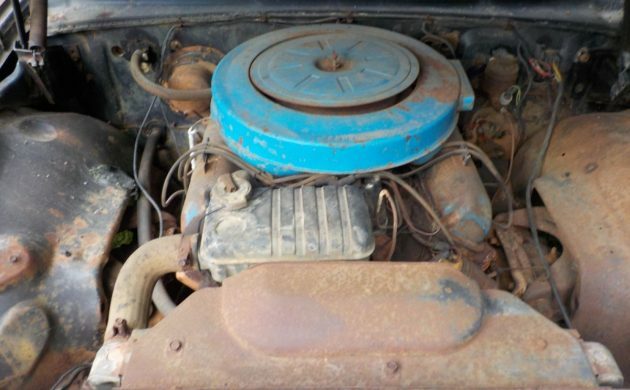 Unfortunately, the 352ci engine is not a runner. 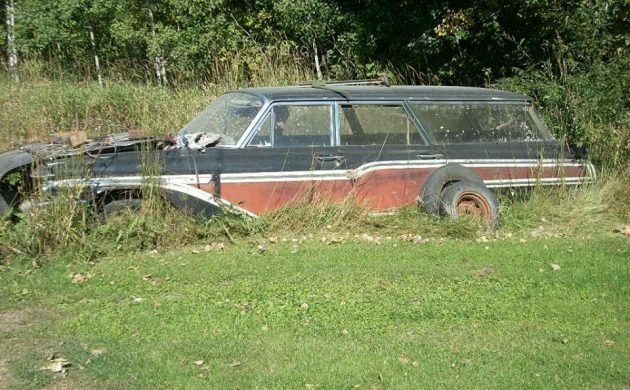 In fact, we don’t even know whether it turns freely as the seller states that he has made no attempt to start it. It is backed by an automatic transmission. 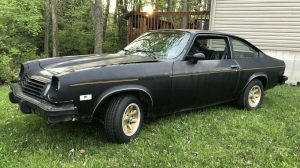 If the engine is beyond help then this may make the car a candidate for a restomod. I have seen that done to these and they seem to be a car that this pathway really suits. Even the seller suggests this as a possibility. We also have no idea about the condition of the rest of the drive-train, but one positive is that the car does sit on new tires. 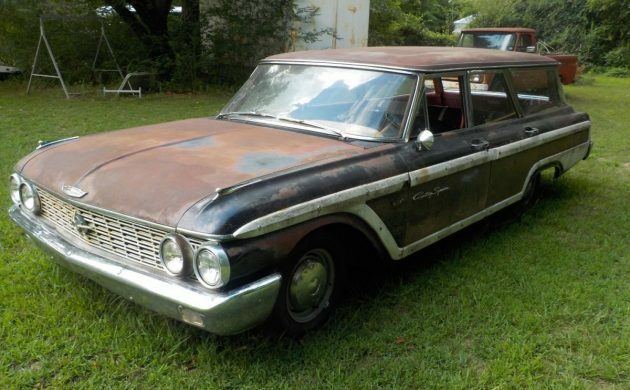 This Ford Galaxie Country Squire Wagon has been sitting for 19 years and potentially represents a fair undertaking to restore. 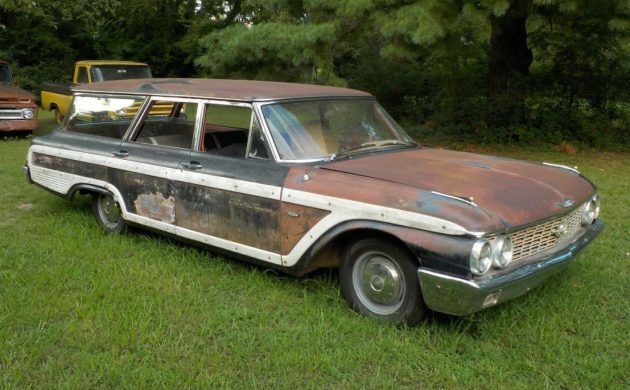 If it is solid then it is a prime candidate for either a restoration or a restomod. What I found interesting when I searched around to see what was on the market was that I found very few of these for sale in original condition. I did find a few that had been sympathetically modified and the cheapest of these were priced at $20,000. Depending on where the reserve is set on this example, it may leave reasonable scope for this to be a financially viable project car. Lots of possibilities and getting rare! I’d put an FE eng and a 4 speed in, that 352 would work great also Great Project car!! This model was my first school bus, no joke. Stripped down model of course, no wood grain trim, rubber floor mat,no radio,heater the only option. Painted school bus yellow with black lettering, I don’t remember any extra safety lighting,maybe not required in 64 ?. We were the only family north and west of town so the district sent it out to get only one kid, me. That only lasted one year then we rode a big bus with other kids the next seven years. Remember the day it was sold as excess equipment many years later,would be a cool ride today,if only we had known. These were all over the place when I was a kid. My uncle had a 63 pretty close to this wood and color wise. 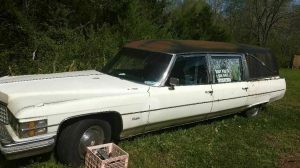 I used to get a lift to school in a wagon similar to this.My friends mom had one, I still see my old friend, over 50 years later. Always a party when we get together! Old Town just outside Kissemee, Fl! the cruise started. I can see it…can you? Sorry, but that’s a thumbs down! R.I.P. Should have been sold long ago.